Big Idea vs Big Data? 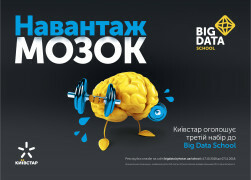 Kyivstar Business Hub Календарь событий Business seminars Big Idea vs Big Data? «By attending our seminar you will learn how evoke one’s entrepreneurship spirit productively using existing resources and social networks, and what opportunities for business open in the process of research of big data. Our first guest is Newton M. Campos, PhD, Professor of Entrepreneurship at IE Business School, who dedicated his life to exploring the global patterns of successful and failed business practices. Location: M17 Contemporary Art Center, 102-104 Horkoho (Antonovycha) Str.